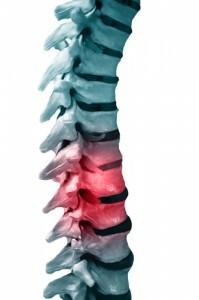 What are Vertebrae Fracture Cases Worth? A Jury Verdict Research report found that over the last ten years, the national median award at trial in personal injury cases for a vertebra fracture is $112,537. Almost two-thirds of the cases in the study were motor vehicle accidents, which is the leading cause of spinal injuries in this country. Not surprisingly, the median award for multiple vertebrae fractures is almost double the single vertebra amount, $207,000. When I first read this report I assumed the numbers were low because they excluded cases where there was a spinal cord or head injury. But apparently, 7.5% of the verdicts were in excess of $2,500,000, which means they have to include vertebrae fractures where the spinal cord was implicated or there was an accompanying head injury. Because of the proximity of the vertebrae to the spinal column, and because of the weight bearing implications of a vertebra injury, I assumed this number would be much higher, but there must be more minor fractures to vertebrae without significant injury than I realized. Here are some sample verdicts over the last four years from around the country. These alone cannot tell you the value of your case. But used in conjunction with other resources, it helps you to appreciate the most likely range of outcomes for your claim. 2017: New Jersey: $525,057 Verdict – A New Jersey man was sideswiped by a car executing an illegal u-turn. He suffered vertebrae fractures at C5-C-6. 2016: Washington: $2,700,000 Verdict – A 24-year-old avid cyclist approached an intersection in which the “Don’t Walk” signal for pedestrians was illuminated. When the signal changed, the man crossed the median he as hit by a semi-truck. He fractured 10 vertebrae, had 9 fractured ribs, and fractured his hip and pelvis. 2016: Georgia: $739,500 Verdict – A female retired anesthesiologist was driving down the highway when a driver trying to merge with traffic hit her vehicle, forcing her into a concrete median wall. She suffered cervical fractures and a bilateral jump facet injury which required fusion surgery from C3 to T2. 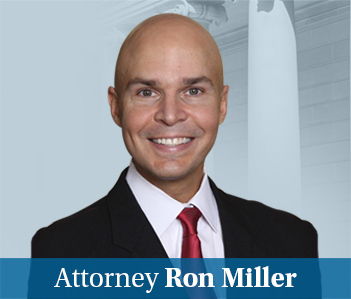 2014, Pennsylvania: $490,000 Verdict – A Philadelphia plaintiff was arrested after a bar fight and placed in the back of a police car. He claimed that the officers then drove around erratically after failing to restrain him properly. He sued the city after he suffered three fractured vertebrae, claiming that the erratic drive resulted in the injury. The defendant argued that the injuries actually occurred from the plaintiff banging his head against a holding cell door while intoxicated. The plaintiff was able to return to his construction position. Eventually, the defendant settled for $490,000. 2010, Maryland: $10,500 Verdict – The plaintiff was a passenger in a car that was rear-ended by a dump truck. As the plaintiff’s car slowed for a yellow light, the defendant failed to observe the changing light. She suffered five fractured vertebrae and sought $10,500. The defendant alleged that the injuries were minor and that she recovered to her pre-accident status. Plus, she had sustained back injuries in the past. The jury awarded a $10,500 verdict. 2009, Maryland: $45,000 Settlement – While the plaintiff was driving, a tractor trailer ran her off the road and into a median. She sustained two fractured vertebrae and had to be transported to a local hospital via ambulance. She pursued a claim against her uninsured motorist carrier and settled for $45,000. 2009, Pennsylvania: $87,035 Verdict – The plaintiff was driving in a car on a two-lane road when the defendant crossed the center line, hitting the car head-on. The crash resulted in a fractured vertebra, prompting the plaintiff to sue the other driver. The jury awarded her $87,035. 2010, Massachusetts: $600,000 Settlement – While the plaintiff was in the hospital, a nurse attempted to change the sheets on her bed. During the process, she caused the plaintiff to fall out of the bed, which fractured two of her vertebrae. She had to undergo corrective surgery, which then resulted in an infection and subsequent surgery. The parties settled for $600,000. 2014, Florida: $250,087 Verdict – The plaintiff was shopping in a Dollar General store when she slipped on spilled detergent. A child had caused the spill several minutes prior to the plaintiff’s fall. She was a 68-year-old woman who suffered fractured vertebrae. The jury awarded her $250,087. 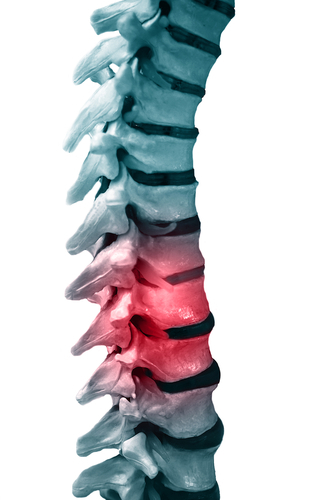 A burst fracture is one of the most challenging vertebra injuries we see. These fractures are most commonly seen at L1 or T9-L5. A burst fracture is a fracture in which the vertebral body appears to be exploded. The burst injury mechanism involves failure of the end-plate causing the nucleus to force into the vertebra, causing it to burst with outward displacement of fragments. The bone is compressed and splintered. It is created by a load or a force being applied to the spine which causes the bone to compress and then expand, causing the bone to be propelled back into the spinal cord. It is usually an awful injury that causes severe pain and bleeding, leaving the victim unable to walk immediately after the injury. This injury often requires immediate neurosurgery. Burst fractures are typically going to have higher average settlements than other compression fracture cases. With a crush fracture, instead of a bone breaking across, you can see a sharp line representing the break in the bone continuity. The bone just collapses, as if crushed from pressure. This injury sounds awful but it is usually a mechanically stable fracture that is unlikely to undergo more changes that could lead to a greater injury. This fracture is more common in elderly patients but you also see crush fractures in motor vehicle accidents. A wedge fracture is where you have actually a reduction in height of the anterior portion of the vertebral body. Basically, the upper and lower surfaces just rotate downward and compress the anterior portion. The impacted vertebra looks like a wedge, thus the name. The treatment depends on the scope of the injury. It the reduction in height is modest – between 10-30% – the treatment is bed rest along with hyperextension for about a week. This is followed by bracing and then physical therapy. If the height loss is between 30-50%, traction is typically recommended, followed by bracing and then physical therapy. If the loss of height is more than 50%, a surgery is often required to provide lasting stability to the victim’s spinal column.